Hotel development in Bali condition is very worrying. Because there are so many hotels in nearly all areas of development in Bali. This accommodation is very disturbing spatial Bali. Hotel built not consider the condition of the environment and the state of society. Developers as not considering the impact it will have. The government also seemed to close your eyes to this phenomenon. Rules are not firm, and law enforcement is weak, making the government seemed unable to cope with this condition. Corruption and bribery that often occur among the government, resulting in control of development inappropriate and not in accordance with the social and cultural conditions in Bali. One example is a very poor area in Kuta. Nowadays there are a lot of new hotel development. No matter the conditions surrounding the construction. Little land remaining land, used by developers to create a hotel. So that the condition becomes very crowded and congested. Tall buildings are constructed as spatial not care. Spatial planning and development in Bali, has been referring to the cultural and religious aspect in Bali, the Balinese Hindu. Bali government and spiritual leaders have agreed to the building does not exceed the height of a palm tree, or a maximum of four floors. 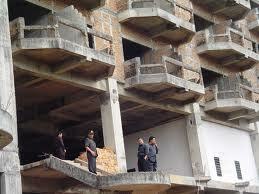 But the reality of the matter, many hotels and flats built to break the rules that have been set previously. Bribery and corruption exacerbate the violation of the rules. Indonesia is known as a country with a corrupt act is very high in the world. From the lower levels, up to the highest level in the government and private. Condition is utilized by the developers to always look for loopholes and trying to violate any existing rules by means of bribery against all the permissions you are done, so that all the licensing process can be completed easily and without a hitch. But it remains to be a victim is the Balinese, Bali culture, Bali's environment, and the preservation of nature in Bali. Loss to the preservation of nature, will impact the living conditions of the people of Bali are not harmonious. Life is full of attitude materialism who are only concerned with personal and group interests. The existence of the hotel is a job opportunity. Hotel requires a lot of labor. But it must be known, if the hotel is too much, then the competition will be even less healthy. The number of visits to the hotel will also be reduced by the hotel competition. Who will be the victims also were hotel workers. Fate would be uncertain if the hotel where they work into bankruptcy because of poor competition.